As a full-time Mom, and part-time cheerleader (albeit without the short skirt or pompoms), my support of my kid’s sports sometimes takes me to places I’ve never even heard of, yet alone been. An awesome tourism opportunity for both me and the places I happen to wander into. This past volleyball season, I found myself in Vanguard, Hodgeville, Fox Valley, Cabri, and Shaunavon – to name but a few. While in Shaunavon prior to the games starting (being Mom’s we had headed out before the boys to make sure the roads were safe), a fellow Mom and I decided to check out some of the local shopping experiences. A tough job, but someone’s got to do it! What we found was Andersboda; a quaint little shop with a lot of history – and a lot of unique items we had never before seen. (And trust me, as dedicated shoppers, we have seen a lot!). Talking to owner Mark, we learned that the store had actually once been a part of the historic Plaza Theatre next door, until it was renovated and turned into a barbershop and then jewelry and gift store owned previously by Herb and Leslie Goldstein. 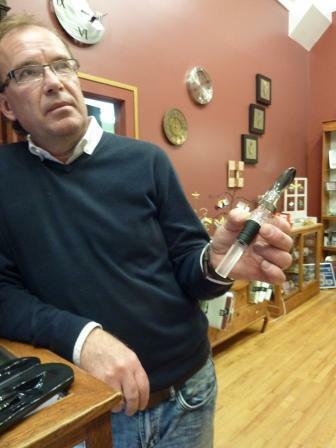 It was from the Goldstein’s that Mark purchased the store in April of 2011. With the store came a treasurer even greater that that of the jewelry and gifts it housed – the cases that displayed 99% of the products. 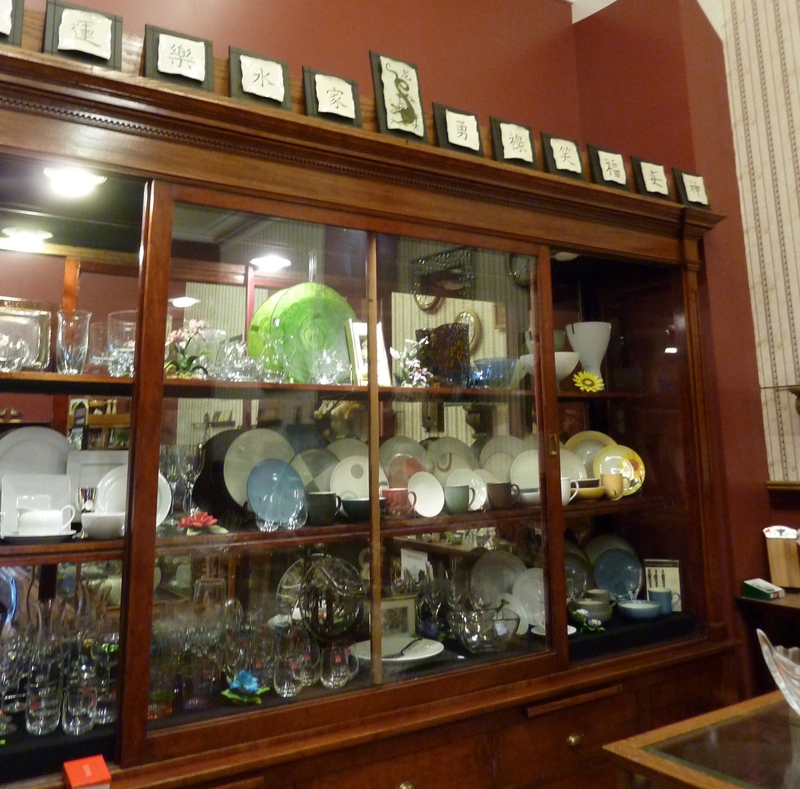 The beautiful display cases located in the store are originals from the 1930’s and possibly earlier. 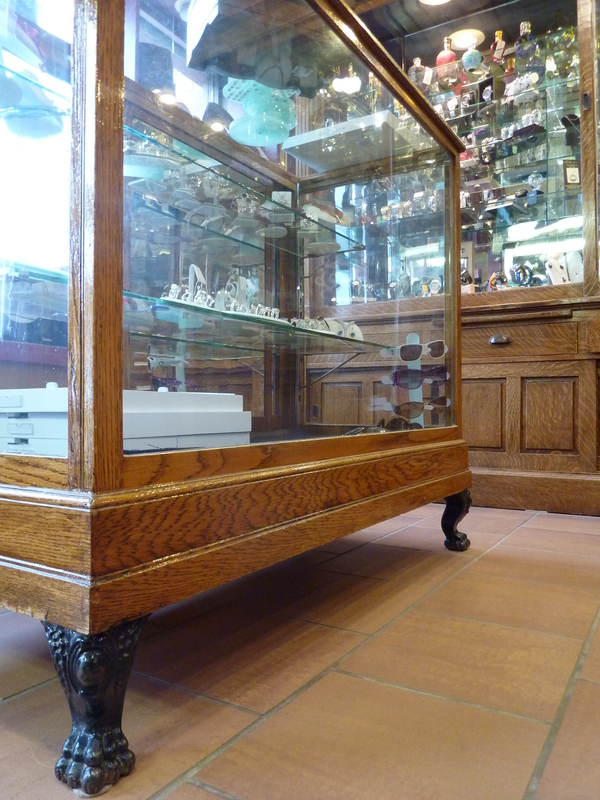 Originally owned by Thomspons Jewelry, which had brought the cases with them when they opened their own store back in the 1930’s, Mark surmises that the cases are at least 100 years old, give or take a decade. Equally as beautiful are the items that Mark chooses to fill each of the cases with. Hand-picked from across Canada – Mark says he looks to Canadian-made products not only to support Canadian companies, but also because of how “fresh and unique” the lines are, as well as the quality he sees in them in both manufacturing and design. 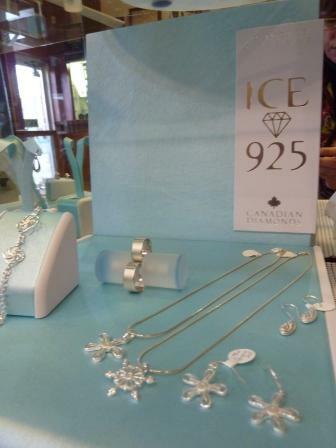 Polar Bear diamonds like those used in Ice 925 are top of mind when Mark Anderson buys for his store. Regina’s Rachel Melke’s popular and fast fast-growing Hillberg & Berk collection. Karley Smith’s handcrafted jewellery out of BC. 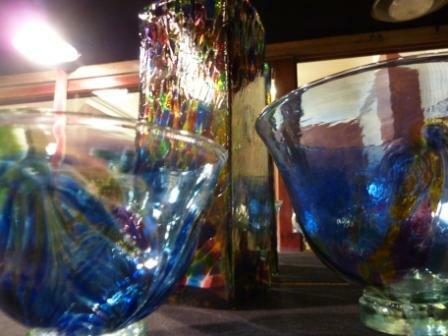 Mark also carries a whole line of specialty kitchenware items, from dishes to pots and pans and beautiful glassware. 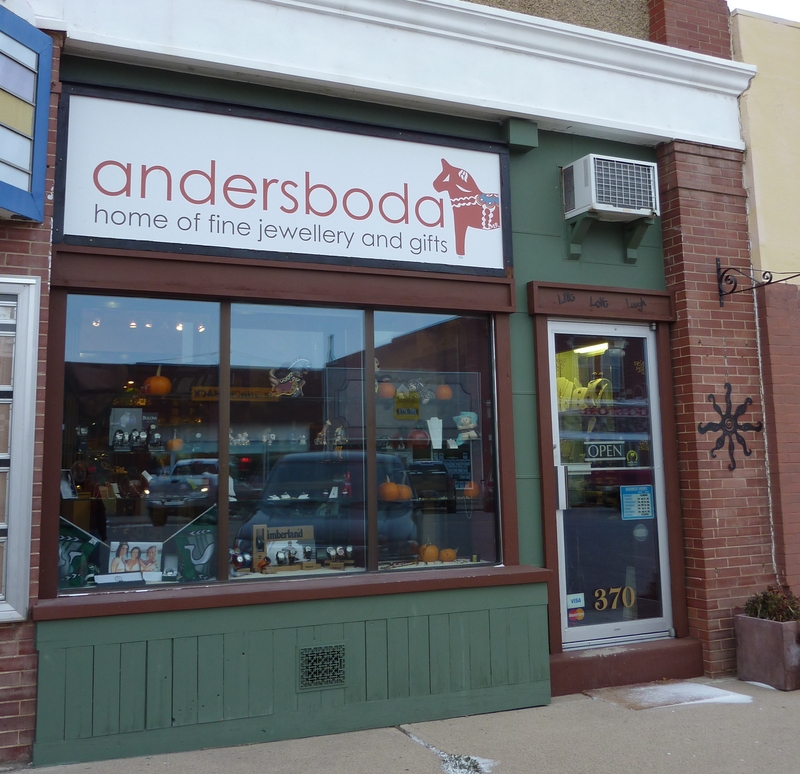 Whether you live in Shaunavon, head there occasionally for business, sports or other kid-oriented activities, or you’re just looking for a girl’s day out and an excuses to go shopping – you’d do well to stop in at Andersboda and check out this wonderful little store. Pssst: I got one of my husband’s Christmas presents here – and if you see him – don’t tell. 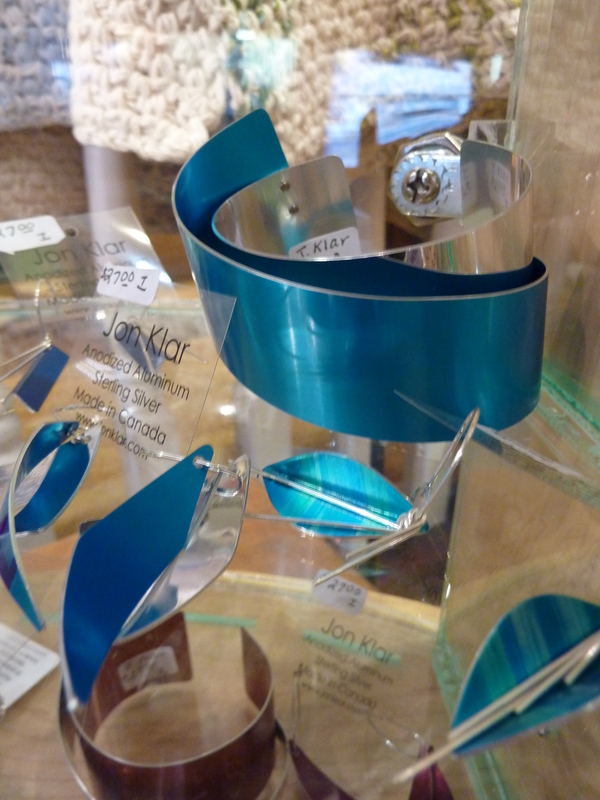 Though if he asks you what you think he should get me for Christmas DO tell him that I REALLY liked the Jon Klar Anodized Aluminum bangles! So if he’s looking for Christmas ideas for me – tell him to #GoHere. How to GoHere: Shaunavon is about an hour’s drive from Swift Current, just South of Gull Lake at the Highway Junction of #1 and #37 or you can follow the Map here. Once in Shaunavon just head into town and head over to Centre Street – you can’t miss the shop nestled next to the Plaza Theatre. 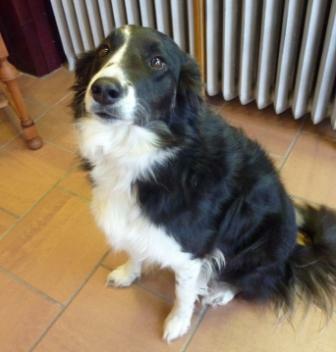 Better than any Wal-Mart Greeter is Mark’s dog – Elsa. A quiet gentle soul – she particularly likes scratches on the belly. (who doesn’t?). Mark Anderson was born and raised in Shaunavon, and after years of ranching and farming decided to give up the “glamourous” life of a rancher and trade it in for life as an entrepreneur, which despite it’s steep learning curve, Mark says is one he’s glad he made. Mark loves that he was able to start this new adventure while still living in his hometown – as the appeal of big city living is something he finds he lacks. Polar Bear Diamonds (like those in the designs of Ice 925) are also known as Conflict Free Diamonds which unlike their counterparts known as “Blood Diamonds” are not mined in war zones to fund warlords and insurgent activity. Yet another great reason to buy Canadian.